A few years ago, the world economy was hit by a recession. Hardly any sector of the world economy was spared. People lost their jobs, entire companies collapsed or came very close to collapse. Chaos erupted from various parts of the world, with people protesting against the responses of their respective governments to the recession. The Real estate market was perhaps one of the markets that were worst hit by the recession. And one term that was used a lot during the recession was the term ‘foreclosure’. From the newspapers to TV commercials, this word seemed to be on everyone’s lips. So what exactly does the word foreclosure mean? Well, Your Personal Financial Mentor explains the term and describes how it is brought about. 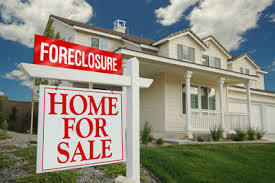 Foreclosure refers to a situation where a person is unable to service their mortgage on time. If one repeatedly defaults on their payments, the financial institution that provided the mortgage moves in to recover the property. They can then seize the house and sell it to some other person in order to recover the costs that they had incurred. Therefore when someone loses their home because of failing to pay the mortgage installments, that is called a foreclosure. There are two common types of foreclosures that are available in most states. One of them is called judicial foreclosure. This is by far the most common one, and is required by real estate laws in most states. Here, seizure of the home is only done as a result of a judicial process, where the court is satisfied that the borrower is unable or unwilling to service the mortgage. The process of seizing and selling the house is supervised by court personnel, who have a duty to ensure that the proceeds of a foreclosure are used appropriately. They also ensure that anything left of the proceeds is given back to the homeowner. In a judicial foreclosure, every party has to be notified of the intention, and they have to each plead their cases in court. Another type is called ‘foreclosure by power of sale’. Sometimes people refer to it as non-judicial foreclosure. Here, no court case is required, and the borrower does not need to be notified by the financial institution before seizing the home. However some states do not allow this. You need to check the terms of your mortgage carefully to ensure that it does not include this clause.